Toolkit features content to help funders and nonprofit organizations invest in nonprofit staff as a strategy for improving the performance and impact of the organizations. The free toolkit is available at fundthepeopletoolkit.org. Site visitors may choose to view content recommended for funders and nonprofits, or access all of the resources. They may also choose to view toolkit materials online or download PDF files. After the initial launch, additional content will be released regularly to ensure the toolkit remains a robust hub of knowledge and practice. 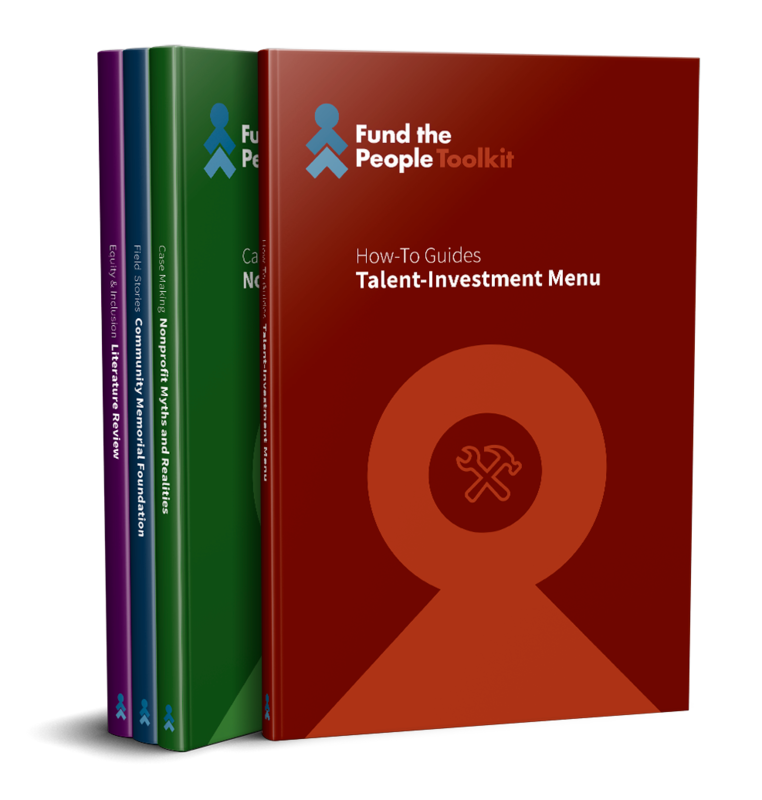 Fund the People is the national campaign to maximize investment in the nonprofit workforce. Launched in 2014 and headquartered in Beacon, New York, Fund the People is a project of Community Partners. Fund the People is supported by national and regional philanthropies including Annie E. Casey Foundation, Bush Foundation, David and Lucile Packard Foundation, Durfee Foundation, Ford Foundation, Kresge Foundation, Robert Sterling Clark Foundation, and W.K. Kellogg Foundation. Learn more at fundthepeople.org.